Last Saturday night I finally made it to the Frida Kahlo Exhibition at the V&A. It’s nearly finished so do try and go if you can get last minute tickets. 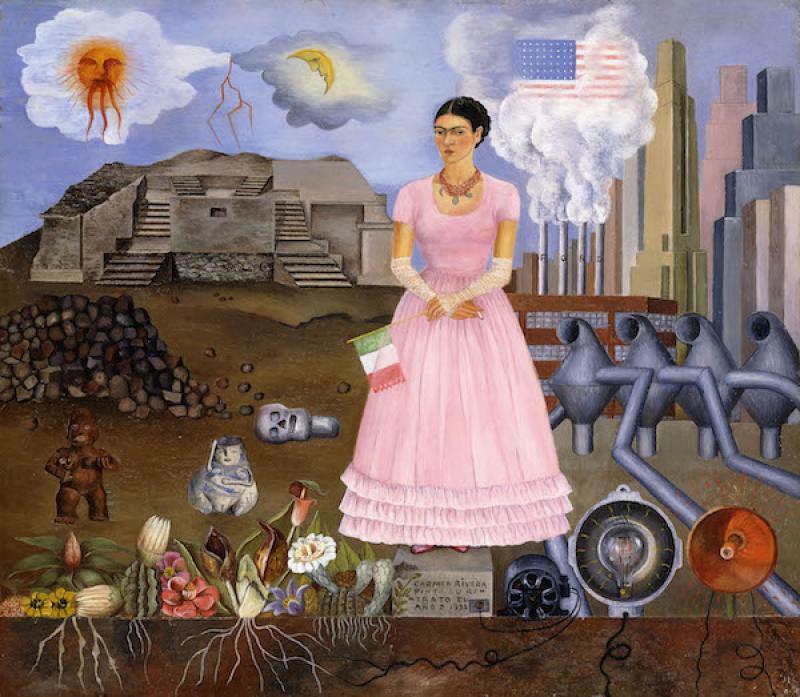 For me, what was so fascinating about this exhibition was learning about the history of Frida’s life, and how it influenced her work and shaped her artistic creativity. The exhibition features photos, clothes, letters and her other possessions which were all found in Frida Kahlo’s house, the Casa Azul (blue house) when it was opened in 2004 – 50 years after her death. It was fascinating to learn about her family history. Her father was a photographer who took lots of photos of Frida in positions that she later used as references for her self-portraits. Maybe these early years of being a sort of muse for her father had a deeper lasting effect on her than I had previously thought. I also learned that she suffered from an illness from the age or 6 which causes a lot of issues in the physical body. At the age of 18, she was involved in a really bad bus crash which ultimately contributed to her having to spend most of her years bound to her bed or wheelchair from which painted some of her most well-known work. Walking about the exhibition it was extremely fascinating to see how she used her illness to improve her creativity. For example, even though it was heartbreaking, it was also inspiring to see how she painted on all of her upper body casts and body braces she had to wear to support her spine. What also really shone through was how beautiful she was, inside and out. Some of the photos that were found in her house which were taken by other photographers were just sensational and really showcased her inner and outer beauty. Frida Kahlo died when she was 47 years old. Walking around the exhibition I thought to myself – if I could live my life with even half the determination, creativity and love she had I know I will have been on the right track! 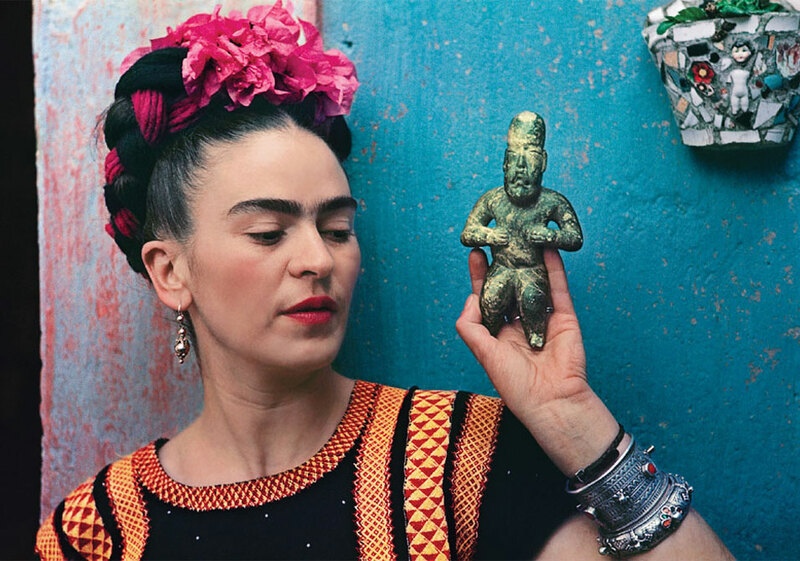 The Frida Kalho: Making Herself Up exhibition at the V&A is open until 18 November. The show is sold out but limited tickets are available every morning from 10am. Find out more here.